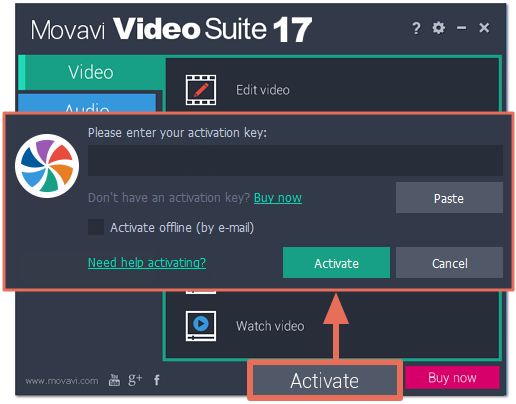 How do I activate Movavi Video Suite (Windows OS)? 1. Please launch the version of Movavi Video Suite you have. 2. Select the Activate button located at the bottom right of the program window. Note that you can also launch any program in Movavi Video Suite, e.g. 'Edit Video' and go to the menu Help - Activate software.